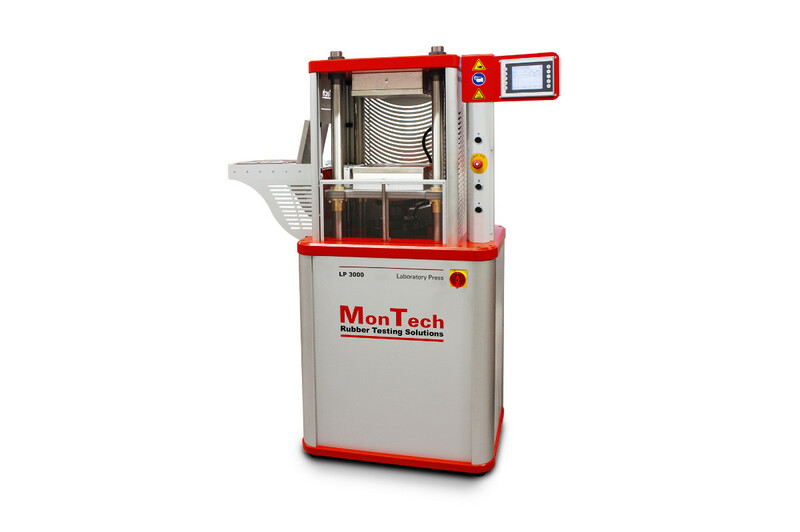 The LP 3000 400kN rubber laboratory press is one of the most popular compact floorstanding hydraulic rubber laboratory presses in the MonTech press line. The rubber lab press features the best temperature uniformity, parallelism, durability and safety in the rubber industry. 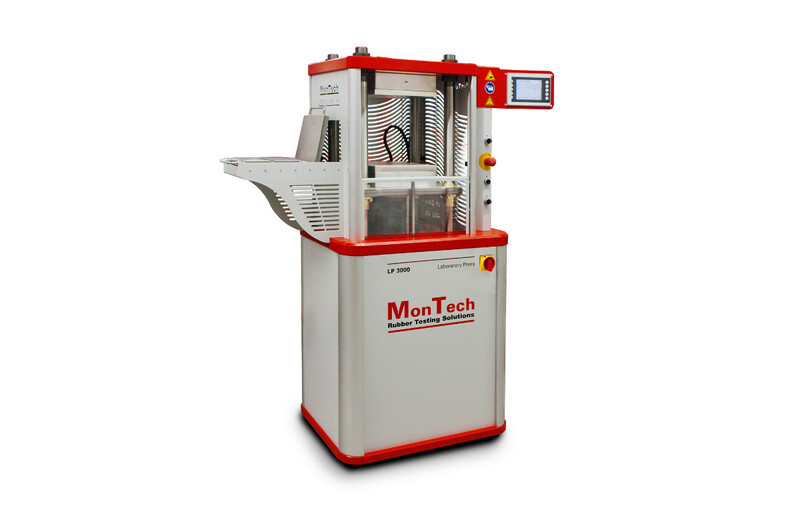 Platen size: 296 x 296 mm | 11.65 x 11.65 in MonTech rubber lab press series, including the LP 3000 400 kN, features the high performance components for 27/7 curing and preparation of rubber samples. The 400 kN unit is designed in accordance with ISO, ASTM, DIN, GB and other international rubber press standards for unmatched temperature uniformity, parallelism and safety. 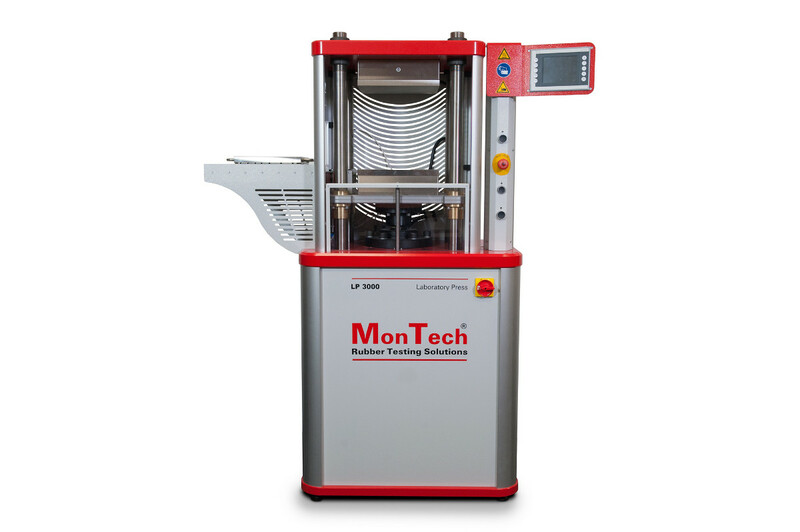 MonTech rubber lab press series, including the LP 3000 400 kN, features the high performance components for 27/7 curing and preparation of rubber samples. 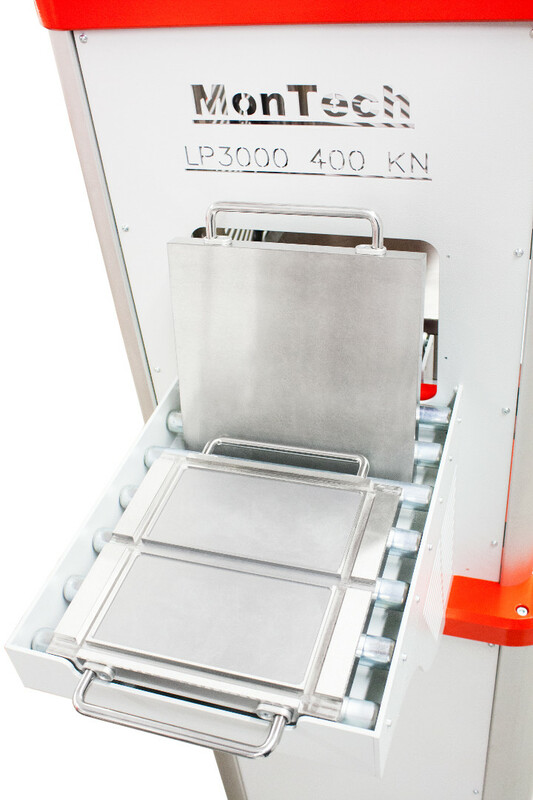 The 400 kN unit is designed in accordance with ISO, ASTM, DIN, GB and other international rubber press standards for unmatched temperature uniformity, parallelism and safety.